Step 1. In the Photzy.com menu, click Log In. You will be directed to the Login page. Step 2. 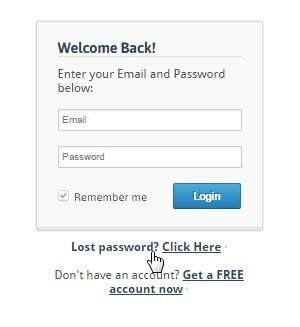 Click on the Lost Password link located under the Login box. The Forgot Password page will open. Step 3. 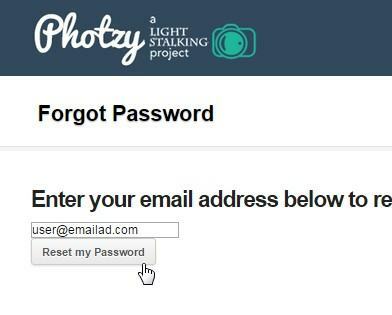 Enter the email address that you use to log into Photzy. Further instructions will be sent to your email inbox. Step 4. 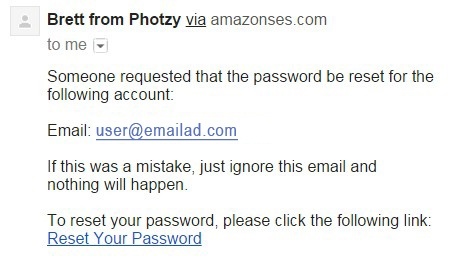 Check your email inbox and open the Reset Password email. Step 5. Access the Reset Your Password link located at the bottom of the message. You will be redirected to a page where you can create a new password. Step 6. Create your new password and click Submit. Your may now login using your new password.